Just incase you are interested here are the steps to do so. 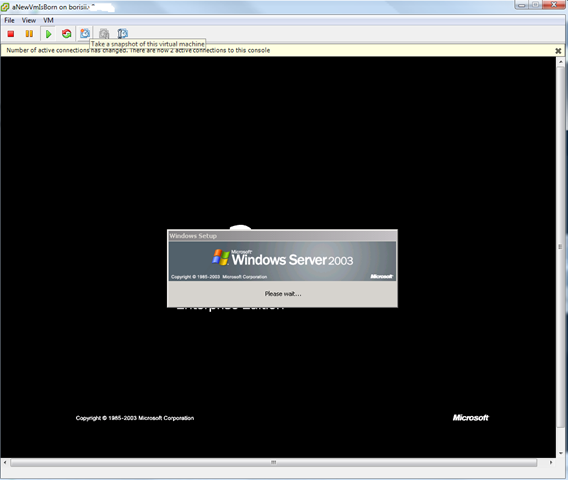 I have a Windows 2003 Enterprise Edition “Gold” VM image that I’ve used for years (see this page for some more good ideas on that) and I’ve ported it all the way from VM Workstation 4.x, through 5.x, VMware Server 1.x, 2.x and now ESX 3.5. 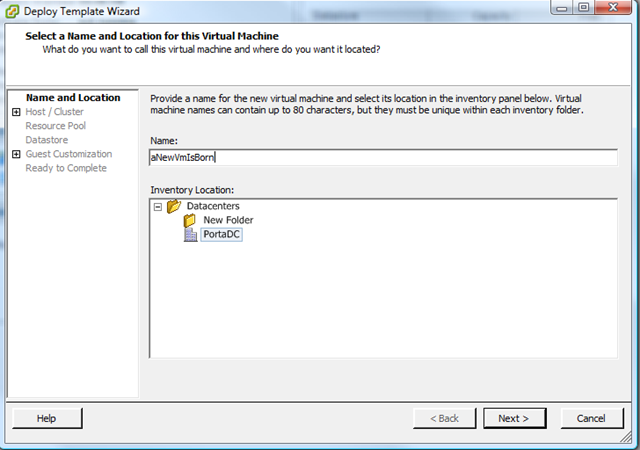 I used the VMWare P2V Convertor (which yes I slated earlier.. but it works in this instance) to convert from Workstation 6.x format for my new ESX server and manage it as a template via Virtual Centre. I get this warning message, but this is because I’ve ported my VM across so many different versions of VMWare, and the template VM still has a virtual USB port – must get round to removing it! 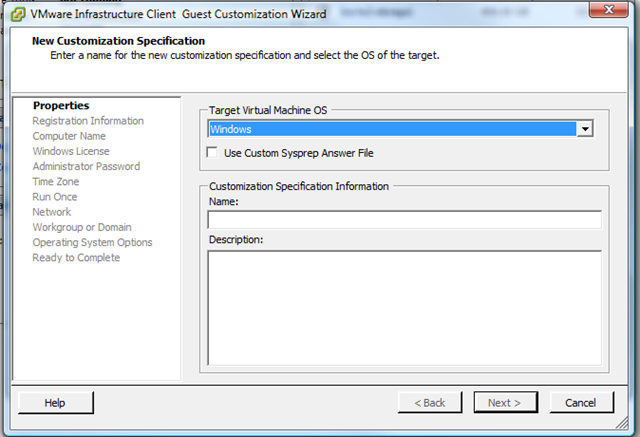 and you can pick a template to customise the VM, this essentially lets you choose (or not) to automatically run a SysPrep once the VM has booted – the “customization specification” is essentially a sysprep.inf file that you pre-created using the customization specification wizard (below). 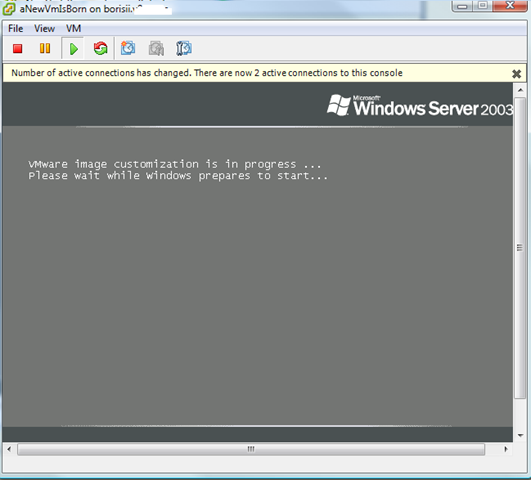 Anyway, back to the VM deployment.. Choose from your set of templates, I have just one at this stage that incudes the product key, regional settings and create the server name based on the VM name, note you can also break out to the customization wizard to make one time adjustments to the specification you’ve chosen. You are then shown a summary of the VM you are going to create and given options to power it on once the clone is finished, or edit the virtual hardware (add more CPUs, disks, RAM, etc.) – not sure why edit hardware is (experimental) would think it would just spring up the normal UI for doing this within VC. Interesting to note the warning umm, this is deploying from a pre-built image – but I guess VC doesn’t know that for sure. 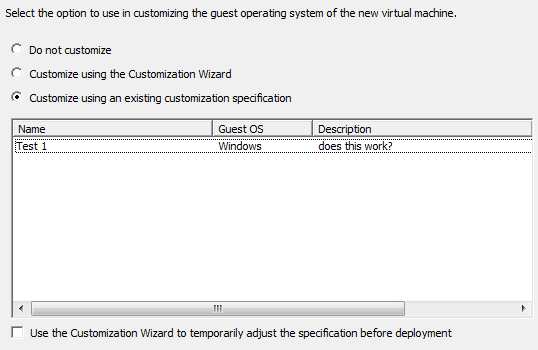 The VM is now booting and doing it’s sysprep/minisetup wizard without any hands-on required – it’s totally automated via the customization specification/template setup. I am having troubles with this step, I have a working master image but no matter what I try I cannot get the customization steps to work I have put all of the sysprep files where they belong. When I get to that step the options are greyed out. 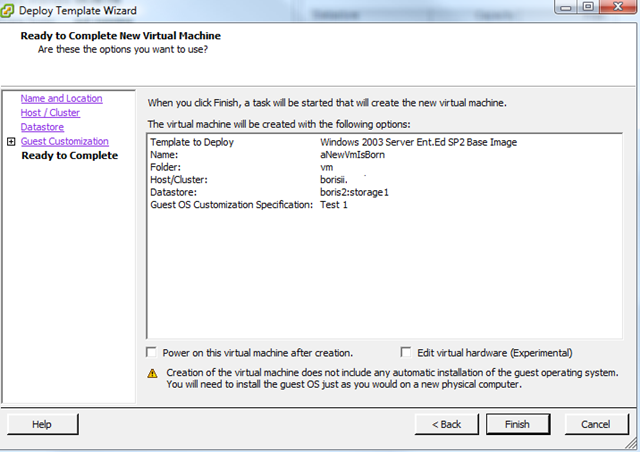 If you could email me and please let me know how you got the sysprep tools on your VC 2.5 install that would be great. make sure you download the correct version of sysprep for your OS. I just extracted it from the Win2003SP2 CD and extracted the files to the appropriate location. there are sub-folders for each OS 1.1,2k,svr2003, svr2003-64,xp,xp-64. for reference I expanded the files from the deploy.cab file into the svr2003 folder. 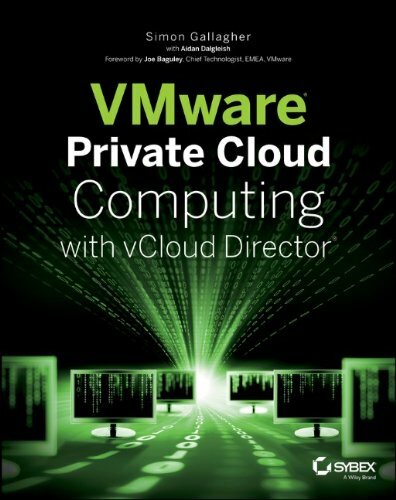 VC must know what OS you have based on your choices when creating the master VM config and looks in the appropriate path. Wow! I really like your article. Screenshots are great, don’t you agree? We don’t use the sysprep, but maybe we should. 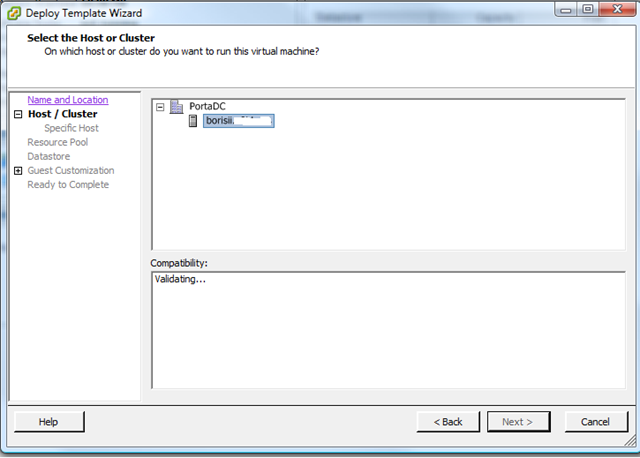 I cannot make modifications during the deploying of the template to a VM. The customization buttons are greyed out! 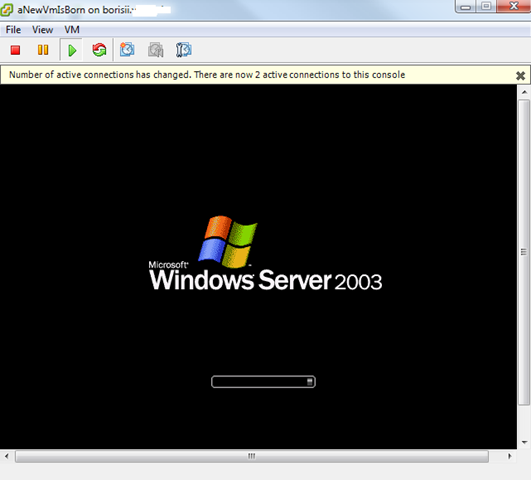 When I complete the deployment, I cannot change the name of the server!!! It states that the “account already exists”! This ia a real pain! 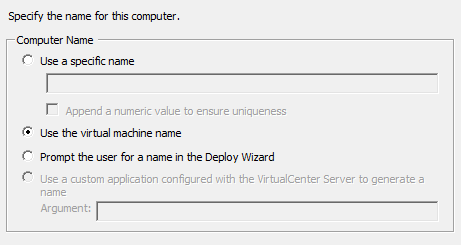 I can rename it to any other name besides the one I named it during the deployment, where I’m asked to name the VM (not the server, but the VM). Any ideas??? Regards, Greg McLean Systems Analyst, County of Santa Cruz, CA. 831-454-2081. This is a great step-by-step article. I wonder if you’ve ever come across the issue I am having. I had the sysprep customisations working beautifully in VC2.0, but since upgrading to VC2.5, when deploying from a template I can run through the customisation wizard, and I see from the logs that the sysprep files are prepared and copied to the VM, but when the VM powers up it does not go through the sysprep/minisetup wizard. It comes up as a direct clone of the template. 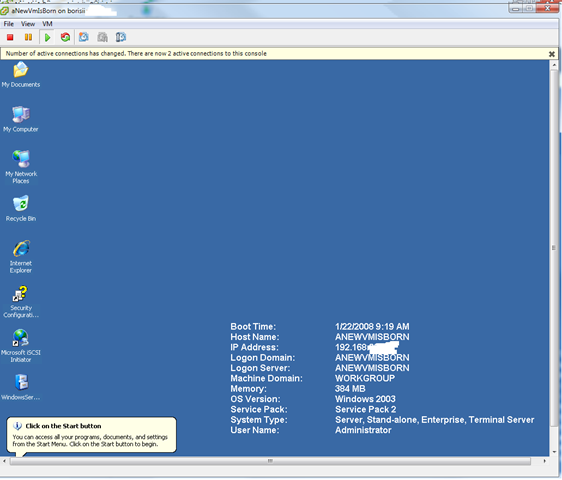 The sysprep files are sitting in C:\sysprep, and I’ve left it running for 10 minutes and nothing happens. I then have to manually run newsid. All the posts I’ve found talk about getting the wizard to run, but that works for me. It’s just this last step that’s frustrating me!!! Thanks for the article has been a big help. I do however need to take this a step further. I have mastered the steps in the article and I have deployed and redeployed over 500 machines now. What I am looking for is a way to automate this process. Let’s say I make a new template and I want all the machine that were made with the old template to redeploy. I have to spend a lot of time doing this. Basically I am looking for a command line or API way of doing these steps. The article is crystal clear, but I am having big problems with this task. Till ‘OS Starting VM tools installing’ everything is perfect, and then the Os goes into a reboot loop from which it never recovers.